We traveled to Joska boarding school today for Church. 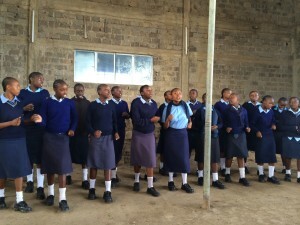 The MOHI team was honored to worship with the teachers and girls. The service was an honor to God and we witnessed the talent from the girls as they sang,danced and read scripture. It was a time of celebration and we had the pleasure to pray for the girls that will be starting a time of exams. Loved worshipping at Joska. Super powerful when we are cognizant of who we are performing for and give it all to Him. Prayers for safe travel and impacting lives for Christ.